PanoramaNOW Entertainment News provides lots of Mother’s Day happenings, Mother-Son Events, Art and Craft Shows, and Mother’s Day Sunday brunches in some of the major Northwest Indiana cities. You’ll also fine plenty ofFAMILY FUN! From Car Shows,Food Truck Festivals to concerts and parades, these events will have you enjoying your summer weekend ! Let us not forget tons of Fireworks, Art and Craft FairsANDCRAFT BEER! Folks might also like the live Concertsand full fledged Festivals honoring our Nation’s Birthday on July 4th or our Nation’s Workers on Labor Day that have four full days held in Lowell Indiana, Hesston Steam Museum, and Michigan City Indiana. We even have lots of HISTORICAL EVENTS TOO! 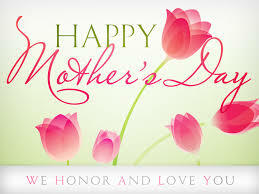 To Find the NwIndiana Mother’s Day Events all on One Page! Click HERE! Check Back For More Often for Mother’s Day Events to Be added!